According to the publication of the “Word Christian Encyclopedia” which is a comparative survey of churches and religions, that from AD 30 to 2017 “There are 19 major world religions which are subdivided into 270 large religious groups, and many other smaller ones.. I read on the internet a column which is appropriately named “Againstdispensationalism.com” that argues that the rapture is nothing more than the “arrogance of the West”. So we are the ones who came up with this theory of the instantaneous removal of the Church of the Living God and it was never spoken of until the 1880s by one, John Darby from the rantings of a mentally disturbed young girl, Margaret McDonald....I chose this article because it focuses on why the rapture is so controversial. In another article, a one Jerry Johnson who is president of some so called Nicene Council, the rapture is nothing more than “paperback theology” and a recent concoction that was never taught by the historic church. For context, the historic church is the one that embraces replacement theology and Anti-semitism and my bible is the paperback. Why do I say that? Because it can be easily proven that the 1st century church did indeed teach a sudden “catching away” of the Church of the Living God. I will address that momentarily. Note this Johnson fellow that lashes out that “one is hard pressed to link all of the great minds from St. Augustine, Martin Luther, John Calvin, and Charles Spurgeon, that as they read 1st Thessalonians 4 and 1st Corinthians where Paul spoke of this “mystery” that had not been revealed to the OT prophets, Jesus did not teach it, nor any of the apostles, till Paul revealed this information, and failed to understand the important teachings of a pre-millennial, pre-Tribulation rapture of the church, called the “Harpazo” in scripture when read in Greek. This Johnson fellow further denigrates the doctrine of the rapture, calling it “a foundation of conceited theology”. Amazing how those who fail to understand Bible prophecy lash out at things they do not understand. But he gave it his best “Sunday punch”. His main objection, and frankly, the objection of many nay-sayers of the opponenets of this doctrine, is the misconception that the rapture is nothing but a “Great Escape”. They reason why do Christians of this age get to escape the Tribulation and the Great Tribulation while others do not? They site that this is not fair, and God is not unfair. In the first Century, men like Irenaeus (130 A.D. – 202 AD) was a bishop of the church in Lyons, France. He was an eyewitness to the Apostle John (who wrote the Book of Revelation) and a disciple of Polycarp, the first of the Apostle John’s disciples. Irenaeus is most-known for his five-volume treatise, Against Heresies in which he exposed the false religions and cults of his day along with advice for how to share the Gospel with those were a part of them. But if you ignore these early church fathers, that some say was not taught during this period, and their writings disprove this absurd position, you can take enough verses from the different places throughout the bible, and taking them out of context, make a case for Rapture, against a Rapture, for Pre-Tribulation, Mid-Tribulation, Post-Trib, amillennial, premillenial, or post millennial, with or without the 1000 year reign of Jesus Christ. If one disbelieves in the rapture of the Church and believes that it is some kind of “Great Escape,” then it is easy to take verses from all over the Bible to refute it. Not because the Rapture is false doctrine, but because that isn't the purpose of the Rapture and knowing why provides valueable clues to when and how. Jesus promised that “the Comforter” would be with me and those He indwells forever and would never leave us. 4 “Ye are of God, little children, and have overcome them: because greater is he that is in you, than he that is in the world. 7 “And it was given unto him to make war with the saints, and to overcome them: and power was given him over all kindreds, and tongues, and nations. And all through the history of the Church Age from those thrown to the lions in the Coll0sseum in Rome, to those being massacred by ISIS and other terrorist groups in the Middle East today, have the benefit of the Holy Spirit and I have to go throught the Tribulation without the indwelling of the Holy Spirit and God will leave me Comfortless when I need Him the most? Talk about contradictions. How does that work? If the rapture is the “great escape” from Tribulation for Christians, then wouldn't the opposite be when I need God and His support the most in all of human history and my mortal life and is suddenly without warning taken away? If you take the positions noted above, the only one that makes sense and does not contradict what I just spoke of, in that the Holy Spirit will be with me always...and when God pulls His Holy Spirit from holding back rampant evil on this earth, then those who have God's Holy Spirit as a deposit of future glorification, will be removed at the same time. THEN, and only then will God reveal the Anti-Christ as Jesus opens the 1st seal of the title deed of His creation that He has bought with His own blood. How long will the period be between the removal of the Church and the beginning of the Tribulation? It could be immediate, it could be days, or even years, as we are not plainly told. All we k now from Revelation chp. 4 forward, that the Saints of God are not called the Church, not one time. They are called the elect or elders. Note that God will KEEP us from this hour of temptation, or tribulaton that will try all who dwell upon the earth....these are called the nations, and they are separate from God's people. It will be a time, when one can actually loose their salvation, because of all the trials and the coersion by the Anti-Christ and his henchmen, all the delusions that seem right, but are dead wrong, and those who actually have pleasure in their unrighteousness and think it's party time. But will realize that the time comes to be “hell on earth” and there is no party, but severe physical, emotional, and spiritual torment that no man or woman should have to live through. But since the offer is open and the gift is free, why not take God at His Word and accept His mercy and grace? Avoid something we deserve but do not receive because of His mercy, and receive grace or something we cannot earn, but is given freely by a Loving and Righteous Creator, God the Father, and our Lord Jesus Christ. His mercy and grace is only a prayer away, when you repent of your sins and take Him at His Word. In the end, let them scoff that it is a “Great Escape” as you and I know that it is not what God has it designed for, but I believe it can be summed up in three words...not the “Great Escape” but “VICTORY IN JESUS”. This is pastor Mike Taylor, praying you make that decision for Christ today, and join me and others like me when we stand before our Savior. If you need prayer, counseling, or just a listening ear, email me at realteam1999@sbcglobal.net, or visit me online at www.pastormiketaylor.blogspot.com. God bless you all. "...He is the living God and the everlasting King. 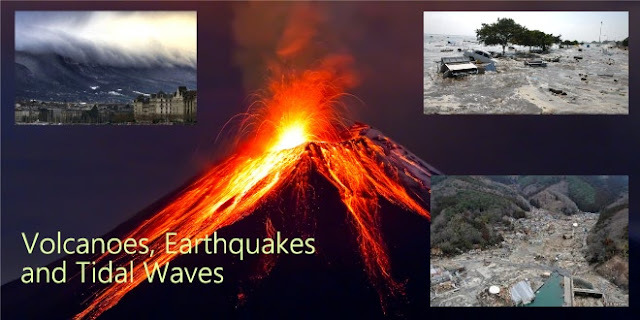 At His wrath the earth quakes" (Jeremiah 10:10b). The wrath of God is a scary thing. In 1 Chronicles 21, God's wrath was abundantly seen when King David disobeyed God and took a census of Israel. As punishment, God sent a pestilence that killed 70,000 Israeli men in one day. In the future Tribulation, we know that God will pour out His wrath on all those who take the mark of the beast, as well as on those present on the entire earth. Rev. 14:9, 10 "... "If anyone worships the beast and his image, and receives a mark on his forehead or on his hand, he also will drink of the wine of the wrath of God..."
Rev.16:1 - "And I heard a loud voice from the temple, saying to the angels, 'Go and pour out the seven bowls of the wrath of God into the earth.'" 1 Thess. 5:9 - "For God has not destined us for wrath, but for obtaining salvation through our Lord Jesus Christ." But until we exit this earth and receive our new glorified bodies, we must live on a fallen planet, (Satan's temporary sinful domain). He is called, "the god of this world" (2 Cor. 2:4); "the ruler of this world" (John 14:30). But where did all these weather problems come from that we have today? If the earth was good when it was created, these disasters would have had to come about after Adam sinned. It did, and our bad weather is rooted in sin. Prior to Noah, the earth was so wicked that God decided to, in essence, start over. With the exception of Noah's family of eight, God destroyed the earth with a GLOBAL flood. "The water prevailed more and more upon the earth, so that all the high mountains everywhere under the heavens were covered" (Genesis 7:19). The word translated 'high" is a little awkward from the Hebrew to English. At first glance in English, it makes us think that the flood waters had to be as high as Mount Everest. But the word in the Hebrew means "high place." And in reality, there were no high mountains yet. Prior to the flood, the weather was perfect on a perfectly created planet. "God saw all that He had made and behold, it was very good" (Genesis 1:31). "Now no shrub of the field was yet in the earth, and no plant of the field had yet sprouted, for the LORD God had not sent rain upon the earth;... But a mist used to rise from the earth and water the whole surface of the ground" (Genesis 2:5, 6). Genesis 7:11 "... all the fountains of the great deep burst open, and the floodgates of the sky were opened." It took a lot of water to flood this planet. Logically, "fountains" being plural; there were many places around the earth where water burst through the earth's surface in enormous amounts. Flood water also came from the sky, and some Christian scientists have theorized that, prior to the flood, a huge vapor canopy engulfed the earth. The theory continues that this canopy filtered the sun's rays and that's why many people lived so long prior to the flood. Genesis 7:19 - "The water prevailed more and more upon the earth, so that all the high mountains everywhere under the heavens were covered." So the question is this: How did the water cover the "high" mountains? The first thing to realize is that over 70 percent of the earth is covered with water. If the earth's surface was spread out perfectly flat, there's enough water in the oceans to cover the globe to a depth of about two miles! When the earth was flooded from below, the tremendous amount of sediment released began to settle on the bottom. The heaviest particles settled first, then the next heaviest, continuing until the lightest dirt particles/sediment settled on top. Evolutionists say these layers were laid down over millions of years. Of course they can't explain why the heaviest layers are at the bottom and the lightest layers are at the top. But there are two "layerings" found all over the planet. This is because after the earth was flooded and the first horizontal layers were formed, God then moved the ground vertically to make the mountains and valleys. "You covered [the earth] with the deep as with a garment; The waters were standing above the mountains. At Your rebuke they fled. At the sound of Your thunder they hurried away. The mountains rose; the valleys sank down to the place which You established for them. You set a boundary that they may not pass over, so that they will not return to cover the earth" (Psalm 104:6-9). "Whatever the LORD pleases, He does, in heaven and in earth, in the seas and in all deeps" (Psalm. 135:6). So the newly laid down horizontal layers were pushed up, churning up the dirt in the water a second time. As would be expected, this second layering has the heaviest particles forming the bottom layers and the lightest layers forming the top layers-perfectly matching the Genesis flood story. Gray stone was at the bottom is the original creation bedrock. On top of the original creation rock, the angled layers are the layers formed from the "flooding from below." Originally these layers were laid down horizontally, but were pushed up at an angle when God "raised the mountains and lowered the valleys. "As the mountains were raised, it caused more turbulence in the water, which in turn, caused additional settling of layers. In the beginning, God created the earth, the original earth. Then God flooded the earth from below. Lots of dirt, rocks and sediment came up with the water from below. Layers on top of the original earth were laid down horizontally from all that turbulence and debris as the water poured through the volcano portals to flood the earth. This is confirmed by the fact that the layers at the bottom have the heaviest particles and the layers at the top the lightest. But then God "raised mountains and lowered the valleys." This again caused a tremendous amount of "dirty water and sediment" to be stirred up. And this sediment again settled to the bottom forming new layers. Isn't it amazing that the secular geological display at the Grand Canyon confirms the biblical account of the worldwide flood about 5000 years ago? Fast-forwarding to today, the Bible says the earth will never again be flooded, sealed with the rainbow in the sky. This is referred to as the "Noahic Covenant." "... never again shall the water become a flood to destroy all flesh. When the bow is in the cloud, then I will look upon it, to remember the everlasting covenant between God and every living creature of all flesh that is on the earth" (Genesis 9:15b, 16). But earthquakes are a different story. The biggest earthquake is still in the future. Rev.16:18 - "And there were flashes of lightning and sounds and peals of thunder; and there was a great earthquake, such as there had not been since man came to be upon the earth, so great an earthquake was it, and so mighty." Rev.16:20 - "And every island fled away, and the mountains were not found." But all things work together ultimately for believers. The high and steep mountains from Noah's flood cause irregular wind patterns on the earth. As the earth turns, the irregular and high mountains cause abnormal wind currents, which account for our weather problems today. But when all the steep mountains are reduced to rolling hills from that HUGE earthquake, the world's weather will change also-back to what it was like before the flood. Therefore, when Jesus returns to reign on the earth as King of kings, there will be no worries of tornadoes, tsunamis and hurricanes. There have been several earthquakes in the Yellowstone Park area through the years, and they're increasing in frequency in the last few decades. It turns out that there is, today, one GIGANTIC volcano under Yellowstone National Park. It's not noticeable too much from the ground because of its size. The walls are miles apart and appear only as distant mountains. This volcano has had three massive explosions in the past...and geologists have found the remains of the debris fields of each eruption. The largest Yellowstone explosion carried ash and debris 1500 miles, to Canada, Mexico and all the way to Mississippi. I'm not trying to be "Doom-and-gloom, the end is near." But it is interesting that we're probably in that window of the expected 4 fourth Yellowstone volcanic explosion, and maybe even past due! Luke 21:11 - "And there will be great earthquakes, and in various places plagues and famines; and there will be terrors and great signs from heaven." We are witnessing very bizarre behavior in people. This is taking place globally in an intense unprecedented coordinated manner. It is becoming common knowledge that those who are rioting and relentlessly spreading hatred and violence are controlled by key players of the global elite-the criminal cabal determined to rule the entire world and destroy national sovereignty at any cost. Watching the efforts and behavior of these frantic robotic-like agitators brings to mind another group of robotic-like beings described by the prophet Joel. .In Joel 2 we learn that an army of robotic-like beings, the "overflowing scourge" will strike terror in Israel and throughout the Middle East. The prophet Joel saw and described these very peculiar creatures and their tactics which will take place, it seems-shortly before the Tribulation begins. 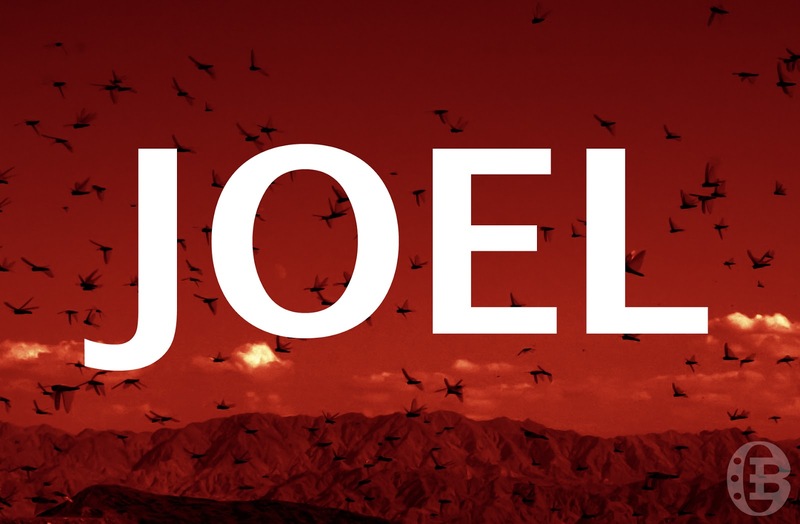 Keep in mind that in the following verse Joel stated: "For day of the Lord is coming, for it is at hand" [certain]. The "day of the Lord" is in reference to the Tribulation. "Blow the trumpet in Zion, and sound the alarm in My holy mountain! Let all the inhabitants of the land tremble; for the day of the LORD is coming, for it is at hand: A day of darkness and gloominess, a day of clouds and thick darkness, like the morning clouds spread over the mountains. A people come, great and strong, the like of whom has never been; nor will there ever be any such after them, even for many successive generations. A fire devours before them and behind them a flame burns; the land is like the Garden of Eden before them. And behind them a desolate wilderness; surely nothing shall escape them. Their appearance is like the appearance of horses; and like swift steeds so they run. With a noise like chariots over mountaintops they leap, like the noise of flaming fire that devours the stubble. Like a strong people set in battle array. Before them the people writhe in pain; all faces are drained of color. They run like mighty men, they climb the wall like men of war; every one marches in formation, and they do not break ranks. They do not push one another; everyone marches in his own column. Though they lunge between the weapons, they are not cut down, they run to and fro in the city, they run on the wall; they climb into the houses, they enter at the windows like a thief. The earth quakes before them, the heavens tremble; the sun and the moon grow dark, and the stars diminish their brightness. The LORD gives voice before His army. For His camp is very great; for strong is the One who executes His word. For the day of the LORD is great and very terrible; who can endure it?" The army of freakish beings described by Joel continues into the Tribulation for an unspecified period of time. (This army is not related to the demonic hordes referenced in Revelation chapters nine or sixteen.) When the Antichrist advances to power he may very likely dominate and take control of the overflowing scourge, promising to stop the onslaughts of the robotic-like beings, which may lead to Israel signing the prophesied covenant. "Because ye have said, 'We have made a covenant with death, and with Sheol are we at agreement; when the overflowing scourge shall pass through, it shall not come unto us; for we have made lies our refuge, and under falsehood have we hid ourselves'" (Isaiah 28:15). "And he will make a firm covenant with the many for one week [7 years]; but in the middle of the week [3.5 years] he will put a stop to sacrifice and grain offering; and on the wing of abominations will come one who makes desolate, even until a complete destruction, one that is decreed, is poured out on the one who makes desolate" (Daniel 9:27). "Your covenant with death will be annulled, and your agreement with Sheol will not stand; when the overflowing scourge passes through you will be trampled down by it" (Isaiah 28:18). Today we are witnessing the steady rise of demonic activity manifesting itself in various ways. An infusion of lawlessness tyranny and ruthless atrocious criminal activities are undeniably present, becoming more commonplace-a frightening picture of a world moving toward the coming Antichrist's reign of terror. It is only a matter of time until the Tribulation years begin. Even some secular analysts are chiming in and commenting that never before in their lives have they seen such extreme anti-American hatred; such intensified lynching of traditional Judeo-Christian values and constant vilification of an American president. Never in American history has a president been subjected to such incessant ridicule, disrespect, vicious vulgarities and death threats. Many good people can see this is all part of the globalists' plan to take down America. President Trump stands in the way of these obstructionists, and we must stand behind him and give him our full support. I find it remarkable that people from socialist-infested countries inject themselves into our nation's affairs, expressing their hatred to those of us who we want our president to succeed. What business is it of theirs? In addition to the aggressive left in this country, people from socialist/Marxist leaning countries are saturating the Internet with ridiculous hateful tirades toward President Trump, and against all others who want our country to be free of unconstitutional rules and regulations. How dare we be Americans in our own country with a president who is actually working for the betterment of our country, and not working deceptively behind the scenes against the American people? The easily manipulated weak-kneed masses and defenders of globalism are trying to shame our pro-American president and all patriotic Americans into buying into their one world order "utopia" scheme. They want to shame us for holding onto and believing in "One nation under God" and rejecting the growing dangers that come with a nation with open borders and unruly criminal politicians. Irrational rants abound, trying to destroy our way of life. But the American spirit and God's Spirit cannot be quenched. Our American way of life does not include going along with government overreach, and giving the fruits of our labor to others who are not willing to work (wealth redistribution). Our American way of life means that every American citizen or legal resident has a chance to get an education, work and build a life based on one's own efforts, commitments and abilities. And when we mess up we deal with it by taking responsibility for our errors, and not blame others for our own missteps. We pick ourselves up, dust ourselves off, stand up tall and get going again. Our American way of life does not mean that hard working people must be financially on the hook to support those who have an entitlement mentality and want (expect) a free ride-which includes the millions who have entered our country illegally, with no intention of assimilating into our culture. But that is exactly what the Democratic Party, sold-out Republicans and other globalists want for America; and they want to implement these same dynamics worldwide. This is something that President Trump understands very well and the socialists/Marxists in this country and throughout the world are having a fit about it. They want our money and the power that comes with it. When people are independent of government handouts and can fend for themselves they cannot be controlled by unscrupulous politicians. Withdrawing from the Paris Climate Accord on June 1, 2017 reinstated the message of American sovereignty and leadership. It sent a message loud and clear throughout world that America is no longer willing to be used and drained of its resources while other countries, and primarily the select elitists of those nations-flourish-at our expense. President Trump made that point very clearly when he gave his speech, spelling out the problems with participating in such an unfair alliance-which places an excessive, very unfair economic burden on Americans far above the other "participating" nations. The Paris Climate Accord (like many other globalist causes) is nothing less than another way of trying to rob resources from Americans-which would enable the globalist elite and other nation states to line their pockets with money that should be used for benefitting the citizens of the United States. Obama was all too willing to take our country down the path of financial ruin (in many ways). He was doing a great job of "fundamentally transforming" (destroying) America. But God and the American people intervened and gave him and his godless Marxist comrades a going away present wrapped in the person of Donald Trump, our new president. While he was still in the White House, Obama alone, without any discussion with or consent from Congress, made a deal with other foreign nations that the USA would be part of the Paris Climate Accord. But his shoddy attempt to railroad Americans for his globalist cause, for the lie of the so-called "greater good" of the entire world, was halted by President Trump. Finally, we have a president who is for the American people and is not afraid to stand up against intimidation and coercion. The globalists, which includes the previous "president" and other leftist politicians are furious that President Trump put a stop to their attempts to siphon Americans of their taxpayer money under the false notion that the rules, and regulations in the Paris Climate Accord would "save" the world from ecological disaster. Al Gore became extremely rich using similar lies to scare people into thinking the world was going to burn up if they did not hand over their money to his cause. Notice the hypocrisy of the diehard "climate change" advocates-the celebrities and politicians who frequently fuel up their private jets and yachts, and travel in entourages of gas guzzling limousines and SUVs. I have not heard of any green-friendly economical tiny little "smart cars" replacing those prized possessions. Savvy students of Bible prophecy understand what we now see taking place is moving us closer to the rise of that prophesied world leader (Antichrist), who will deceive the world for a time. 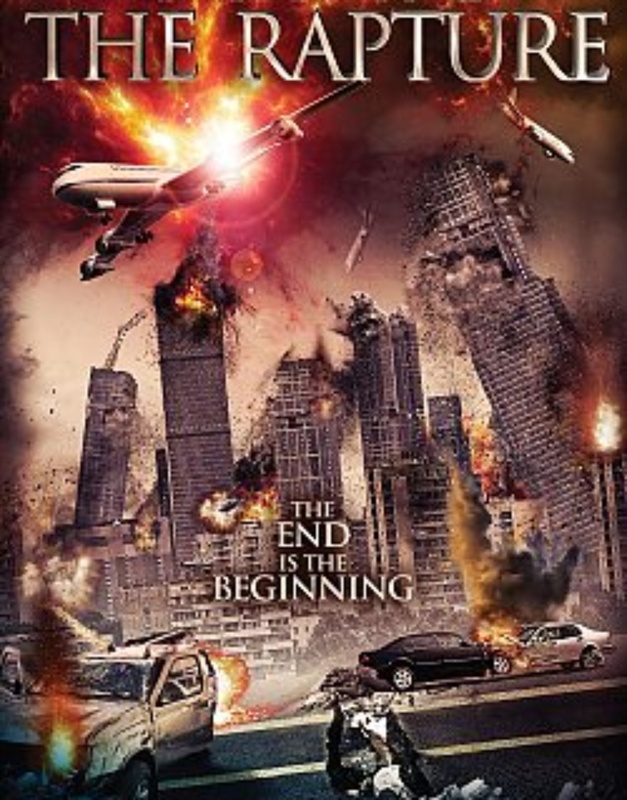 That means the Rapture/Tribulation are drawing near. We are living at a time when dangerous threats are being made against those who do not go along with the leftist lunacy, the (progressive) Marxist agenda. Some of the threats are coming from paid "protestors," who are essentially doing the devil's bidding through the orders of their corrupt globalist bosses. We see growing numbers of liberal activists from all walks of life (who comprise the maniacal left); they all contribute to the feeding frenzy of disinformation and character assassinations by spewing their venom daily. The anti-Trump propaganda, the attempts to shut down free speech are like nothing we have ever seen before in this country. We must be careful not to jump to conclusions when we see our president dealing with nations like Saudi Arabia and assume he is suddenly working on the dark side, and accuse him of waltzing with the devil. Cautiously navigating his way in a dicey situation, assessing how to best handle a given circumstance to benefit of our country, would be a more discerning and accurate assessment. When President Trump was surrounded by dozens of Arab men engaged in their cultural customs holding swords, was he supposed shout out loud? 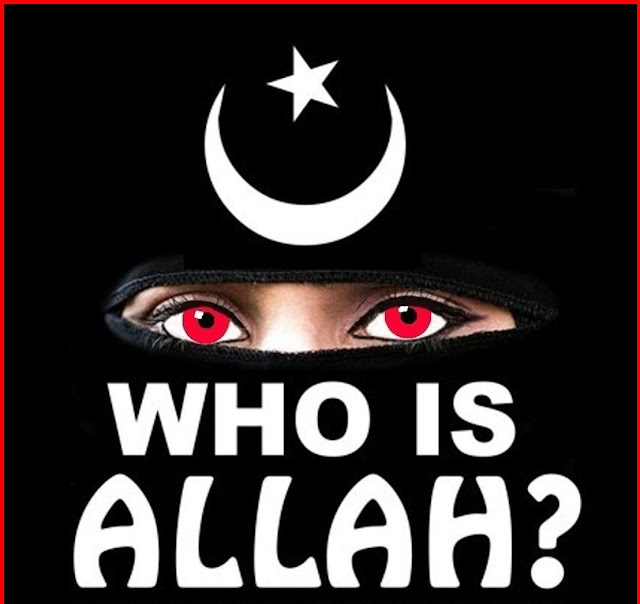 : "You are all of the devil, you Allah loving maniacs!" He may think that-but as the leader of the free world there is a certain amount of decorum he wisely displayed. We cannot know all the details of what was going on in Saudi Arabia, and how our president was reading the situation while he was on their turf. But we can be sure he was on the side of liberty and working to protect Americans and all of humanity from the death cult of jihadist tyranny. The same day President Trump withdrew our nation from the Paris Climate Accord, the White House issued a statement saying that President Trump was still committed to his promise to move the U.S. Embassy from Tel Aviv to Jerusalem, but had made a decision to delay the move (to maximize the chances of successfully negotiating a deal between Israel and the Palestinians), fulfilling his solemn obligation to defend America's national security interests. The statement also emphasized that he has repeatedly stated his intention to move the embassy; the question is not if that move happens, but only when. Yet already some people are blasting President Trump's decision accusing him of going back on his word-without having a clue as to what his strategy is, and why he is delaying the move. Our president has many times over expressed his intense desire and intention to quash Islamic terror. While in Saudi Arabia he appealed to the Muslim world to cooperate and help in the fight against radical Islamic terrorism. Moving the embassy to Jerusalem will cause intense opposition from many in the Muslim world. Wouldn't it be wise to eliminate as many demonically infested Islamic terror cells as possible with the cooperation of some Muslim allies while the embassy is still in Tel Aviv, and then make the move? That could very well be what our president is thinking. Donald J. Trump is a seasoned negotiator and deal maker. It seems to me he has thought through the best approach to moving the embassy; it sounds like it is a timing and strategy issue. We cannot be sure what is going on behind the scenes and we should not jump to conclusions. Of course it is possible that President Trump is very hopeful that a peace" deal could be successfully negotiated between Israel and the so-called Palestinians. This should not be a surprise; he is in a very powerful position as the president of the United States and his intentions of good will should not be ridiculed. But our president may soon find out that no matter what he tries to say or do, such a peace deal will fail to take hold. We don't know how much he understands about Bible prophecy or why he makes certain decisions; but it would be irresponsible and unfair to assume the reasons for the choices he makes, and even worse-generate unfounded assumptive accusations. The intense evil behind the escalating chaos we see each day cannot be taken lightly; the spiritual warzone in which we live is plagued with the stench of the underworld-Satan's kingdom; a frighteningly brutal landscape of genocide. If it were not for Christ's blood sacrifice on the cross we would all be hopelessly lost. Although we are observing unprecedented attempts to openly destroy our great nation and our patriotic president, we can rest assured that we are edging closer to the miraculous time when Christ calls us home to glory (1 Thessalonians 4:16-17). May the Lord God of Israel bless and strengthen all those who are in the front lines in this battle between good and evil. WHEN THE GATES OF HELL ARE OPENED.